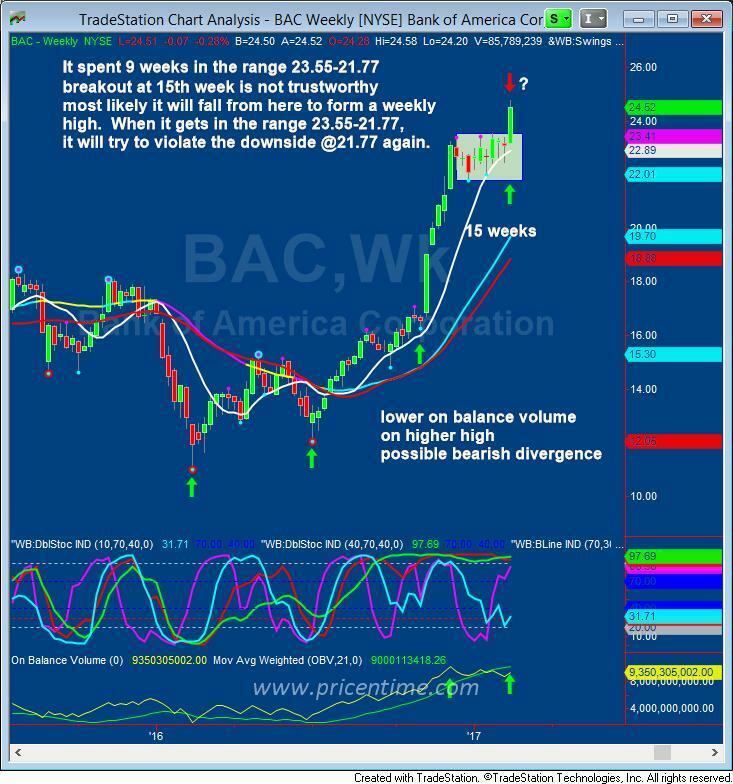 We are long term bullish on BAC. We published a blog on BAC 2009-2016 multi-year breakout on January 6, 2017. But the recent breakout at the 15th week in the weekly cycle is not trustworthy. We believe this breakout pattern will fail due to the cycle position (too late in the game). In a week or so it may fall back into the range again. S&P 500 had a breakout at the 12th week in the current weekly cycle and it had a continuous rally for the last four weeks. So relative to the S&P 500 index, BAC is showing signs of fatigue. Plus the on balance volume is showing a bearish divergence. We are NOT recommending to short BAC. We are warning against buying into this breakout. On the BAC daily cycle, it is only 7 days into the cycle. So we need about 11 trading days to finish the current cycle. 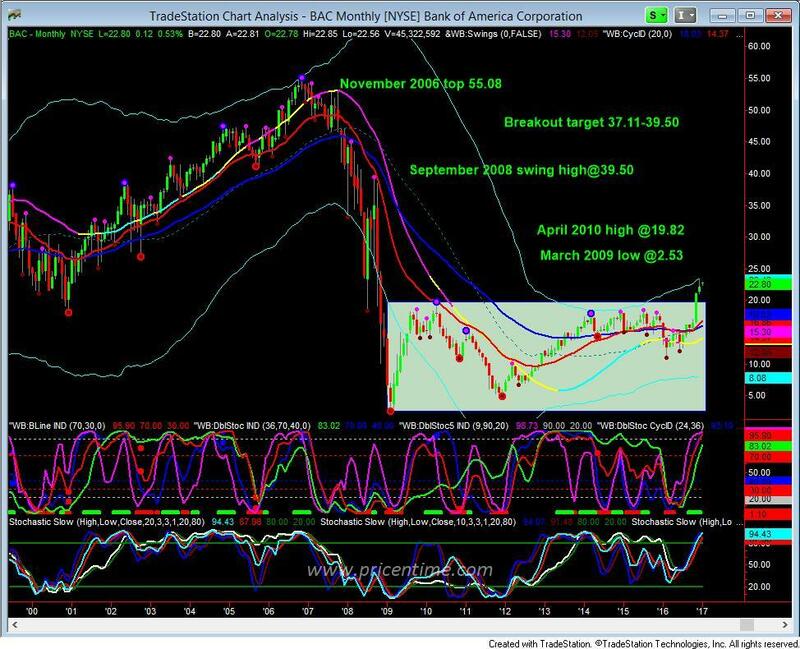 This entry was posted	on Monday, February 20th, 2017 at 7:45 pm	and is filed under Hot Stocks, Trade Recommendation. You can follow any responses to this entry through the RSS 2.0 feed. Both comments and pings are currently closed.